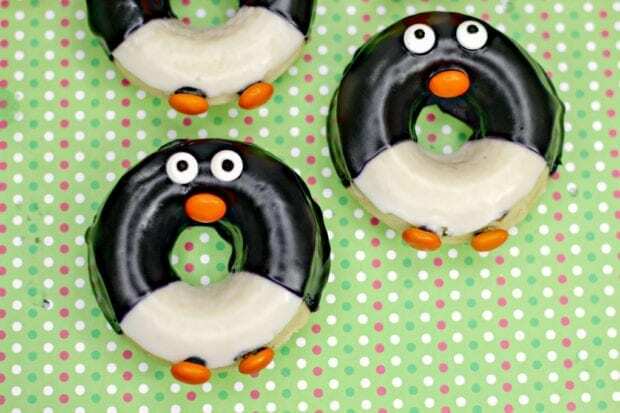 These penguin donuts are almost too cute to eat. What better way to get excited about the new Mary Poppins Returns movie than with these adorable backup dancers! I'm so glad they brought the penguins back in the new film, they were one of my favorite aspects from the original Mary Poppins. You know I love a great donut recipe to share because they are super easy to make and are perfect for themed parties. 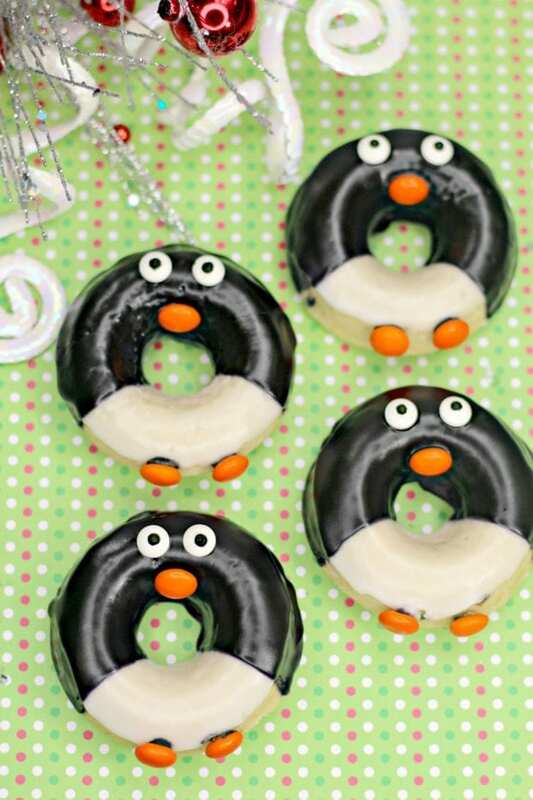 With two colors of glaze and a few candies, you've got an adorable penguin on your plate. Kids will love making these fun donuts. I like to keep a donut pan around the house to make donuts whenever it strikes the mood. Which happens to be a lot of the time. Donuts and tacos are life! 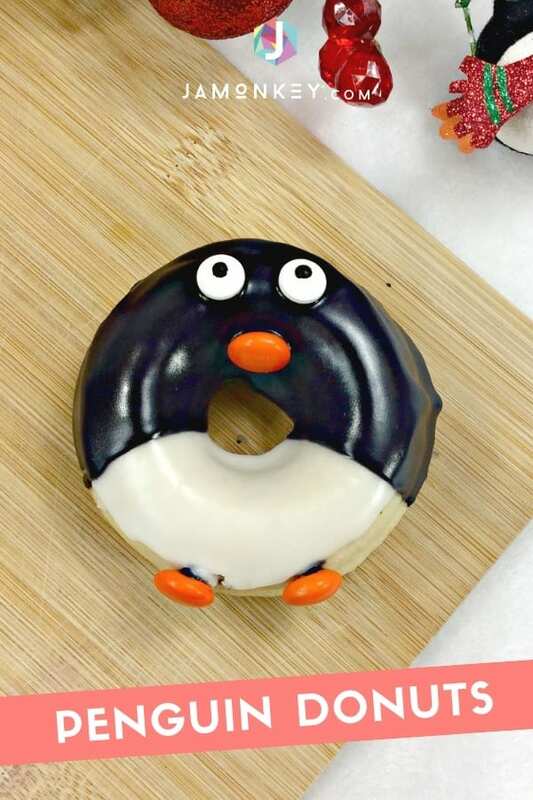 You bake them in different colors but for this recipe, we are just going to make plain donuts so that we can decorate the outside to look like penguins. The penguin design is actually quite simple. You only need white and black icing, some edible eyes , and orange candies. This can be Reese's Pieces, M&M's, or even Skittles if you prefer. There are a lot of different candies that have an orange option. For this recipe, we used M&M's. 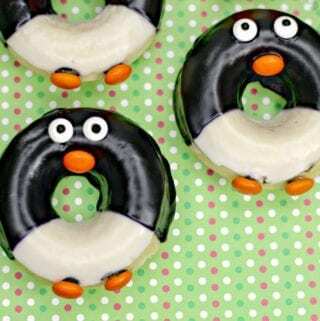 The cutest donuts you've ever seen waddle by!